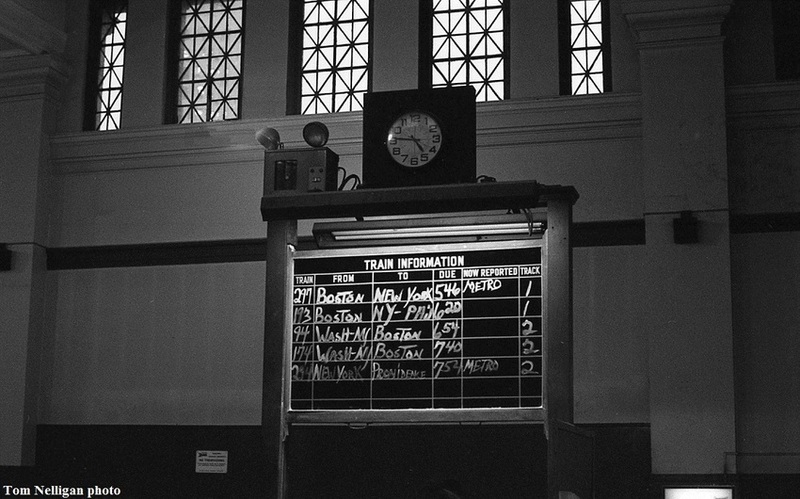 The information blackboard at Providence Union Station lists the next few Amtrak departures from the classic building. "Metro" refers to the limited-stop, premium fare New England Metroliner service. No computer displays here!